Let’s face it: Sometimes, life throws us some curve balls that can affect our writing. It might be something as innocent as things getting busy at work, but it could also be something really stressful like a move or even the death of a loved one. I dealt with multiple curve balls like that throughout my life, and each time those curves headed my way, I had this weird split in my psyche. 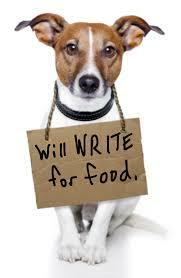 I both really wanted to write and had absolutely no interest in writing at the same time. So I just didn’t write. 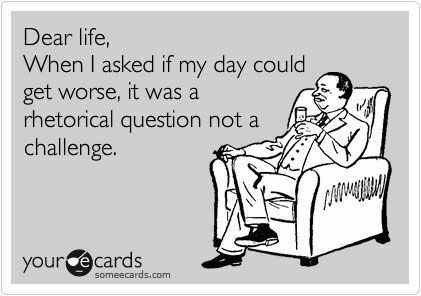 At first, I’d say that I would give myself a break for one day or one week, but those days stretched into months. The longer I didn’t get any writing done, the guiltier I’d feel. “How could I call myself a writer if I wasn’t writing?” I asked myself. This guilt turned into pressure – the pressure to get back to work and create something amazing. If I took that long off, then what I created when I got back had to be incredible! But pressure turns into one thing for me: Writer’s Block. And we all know how impossible it is to create when that dreaded Block comes our way. At the beginning of this year, I had a few major events that threw me into a Writer’s Block spiral. First, things got really busy at work as I prepared for to present to executives at the company where I work. Then, I found out I am pregnant. As soon as we discovered that, my husband and I decided to stop waiting and buy a house. So we did that, and then we moved. By the time the move was over, it was May, and I’d barely written anything all year except for rewriting my latest novel based on some notes my agent gave me, and a few blog posts for this website. And it felt awful! But for the life of me, when I had time to write, nothing new wanted to come out. I’ve gone through this kind of block in the past, but one of the big things that surprised me about this particular round was my fear. The novel I completed just before Christmas, which my agent should be sending out into submission in the next week or so, is really strong. I’ve believed in a lot of my work, but this one… I have a great feeling about it! So after finishing that novel and then hitting a five-month wall of nothing, a new fear blossomed: What if I can never write anything that good again? What if my long absence from writing or the new baby growing inside of me or the fact that Mercury is in retrograde or whatever… has permanently changed my mental landscape as a writer? What if that last novel is destined to be my last? Fortunately, I’ve come to realize that fear is a load of dinosaur droppings, fed by paranoia and writer-neuroticism. How did I come to realize that? I actually listened to what I teach my students. 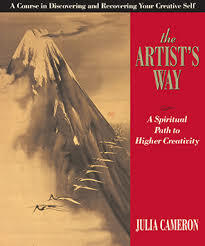 I teach a MFA level Screenwriting Course at a university here in Central Florida, and as part of the curriculum, we study the amazing book The Artist’s Way by Julia Cameron. It’s a twelve-week recovery for artist’s (writers, painters, actors, etc) who feel blocked. While each week focuses on a different topic, there are two big things she discusses at the beginning of the book that each person “recovering” from block is meant to do each week. After teaching The Artist’s Way to my students in class, I realized that I hadn’t done anything for myself in a long time. And if I hadn’t done anything for myself, then why would my inner artist be willing to create anything new? 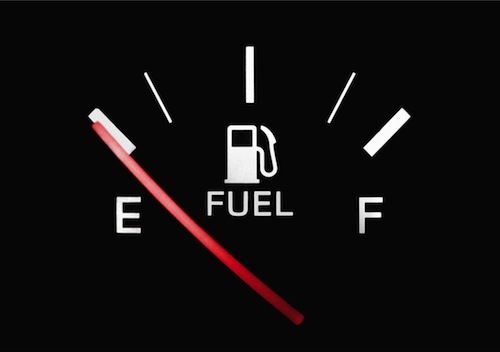 I can’t just take and take and take from my creative well without refilling it. I knew this! And yet, I didn’t do anything to help myself. I just watched as one class after another presented the Artist Dates they went on, at my instruction – each of them raving about how much those Dates helped them create, even when they felt the most blocked. So, I finally took my own advice, and I bought a ticket to see Pitch Perfect 2 – all by my lonesome. I hadn’t allowed myself the joy of spending money on a movie for quite a while, and it felt like a suitable treat for myself since I’m a fan of the first film in the series, for all its silliness. Eating popcorn, watching a silly comedy and listening to the music in the film was like a breath of fresh air for me. When I left the theater, I felt a little less dry, a little stressed out, and a little more able to create. It didn’t completely solve my block, but it at least got me feeling more optimistic about being able to write once more. So I went on two more Artist Dates, and by the end of them, I was able to sit and write once more. I created the outline of a new novel, and I’m really stoked to get started on writing out the pages. So, if you are feeling blocked, just remember: you can always get back into writing. Forgive yourself for the days, weeks, months or even years you haven’t been writing. Just give yourself a few Artist Dates and then set aside some sacred writing time. And then – just do it! This entry was posted on June 23, 2015, 8:42 am and is filed under Jennie, Rejection, Special Editions, Staying Inspired, The Writer's Life, What inspires me. You can follow any responses to this entry through RSS 2.0. You can leave a response, or trackback from your own site. Congratulations, Jennie, on the news of the baby. This is a really great post. I have definitely felt this way before.